Here for the first time in English is a complete Dzogchen meditation manual from the ancient religious tradition of Tibet known as Bön. The Kunzang Nying-tig by Shardza Tashi Gyaltsen is a powerful and practical instructional text, which cuts to the heart of Dzogchen meditation. 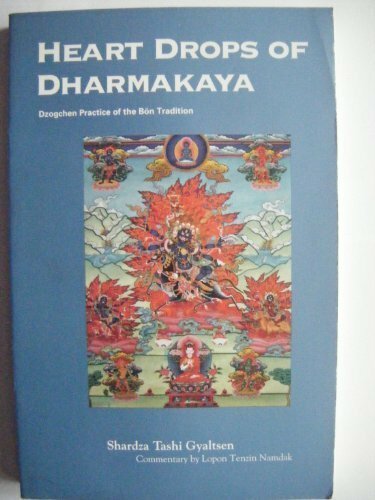 Dzogchen is regarded by Bonpos as the highest and most esoteric religious practice.Written in the style of personal instruction from Shardza to his students, the manual is supplemented with a commentary by Lopon Tenzin Namdak who is himself an acknowledged master of Dzogchen. The translation was carried out by Lopon in the course of teaching the text to Western students at his monastery in the Kathmandu Valley. 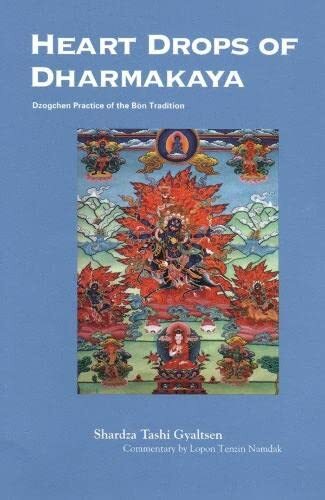 The book has four parts: preliminary practices, the practice of trekcho, the practice of togel and bardo, and phowa practices. Also included are a discussion of the rainbow body, a short history of Bön, and biographies of the authors. Shardza Tashi Gyaltsen (1859–1935) was born in the Kham region of Tibet. An unusually gifted child, he became a monk at age nine. At thirty-four he retired to a mountain hermitage where he passed the rest of his life in retreat, meditating, writing, and teaching students from both Buddhist and Bonpo backgrounds.